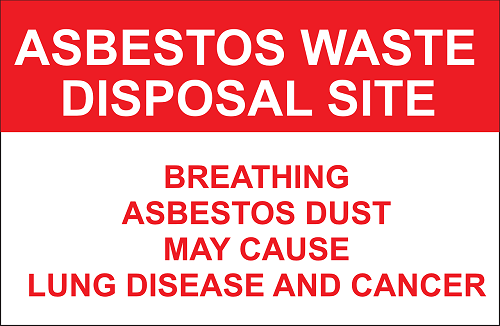 Asbestos Removal Cost | Did you find asbestos in your home? Asbestos is not a good thing to have. It can cause damage to the lungs that have lethal complications. It also takes years to kill someone, so the immediate harm is unknown. Finding it in one’s home is a good reason to book a hotel for a few days and let professionals do the cleaning. However, there is some concern. It’s not always easy to make such arrangements. In particular, the asbestos removal cost can seem prohibitive to some homeowners. They might not even think that it’s that dangerous to just let the fibres remain in their home. There’s also the challenge of finding the right people to do the job. Not everyone knows how to find a crew that can remove asbestos reliably. Since these people are entering your home, you want to know that you can trust them. First, you’re going to want to check with a contractor that has the right licenses. There are requirements for this, and they’re legally required to point these out. At the same time, the list of companies that have the license is publicly-accessible, so you can verify any claims. The second is cost. This is very important for many. Asbestos removal requires a lot of specialized gear and systems. There are vacuums designed for this task. There is the insurance that covers the safety of the crew. There are also a number of fees that may be associated, including any building permits required. There’s also the cost of where you intend to stay. If you plan to stay with friends or family, that’s fine. That’s a load off your mind. However, if you can’t do that, you need to make some last-minute arrangements. A hotel is a good choice, so you can have a sort of vacation while you’re away. Of course, a hotel stay with all the perks can be costly. This is especially true if you live in a tourist-visited area and it’s the wrong season. Hotel rooms can get so expensive. On top of the removal itself, there is another cost you have to consider. Before you call in the professionals, you need to get the space inspected. What looks like asbestos to you might not actually be the contaminant. Even if it is, a professional inspector can determine the extent of the problem. Most of the time, you’ll want to have testing done or arrange for a follow-up inspection. These are also additional costs.